This shite has proliferated all throughout my yard this spring. I have a mostly St Augustine yard and this is the 1st year I've seen this stuff pop up (other than near the fence lines) in the majority of the yard. From what I've seen it's a pain in the arse to control - anyone have any good tips? You sure it’s Johnsongrass - perhaps you could post some pictures. Might also consider moving your question to the lawn thread - bootlegger is the resident expert in that thread that people rely upon for such answers - and many good questions and answers on lawn weed control. Post a picture because the two names people always throw out for Dallis grass is Johnson grass and crabgrass. Certainly appears to be sometime type of grass but I’m not sure what. I see you now have it posted in the lawn thread so I’ll be interested to see what they come up with. In the interim, send these pics to Dr. Ron Strahan, turf/lawn weed extension specialist with the LSU AgCenter, rstrahan@agcenter.lsu.edu and ask if he can ID from the photos and control methods in St Aug. He’s my go expert on such matters. He is good about getting back with answers pretty quickly. Get back on the board with any answer he provides. I’d like to know myself. 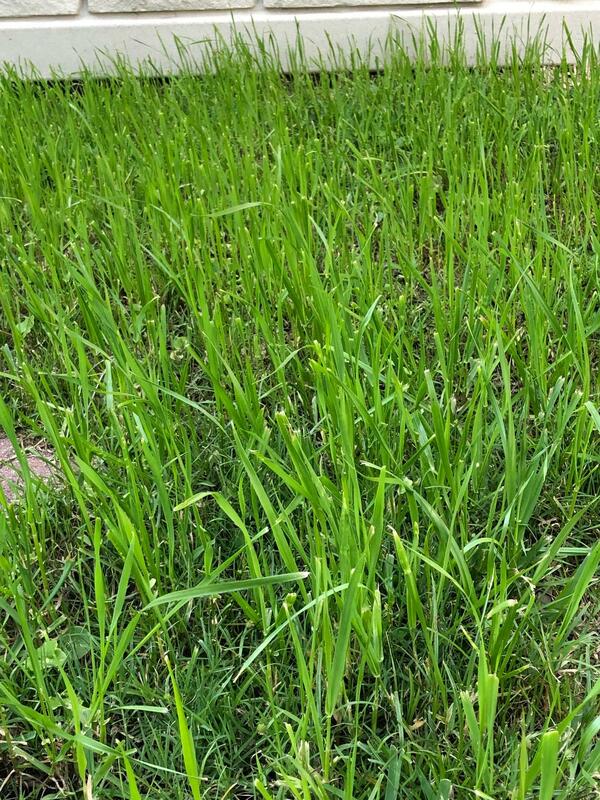 One of my neighbors did plant some rye last fall - is it possible for seed to blow into another yard? Looks like some type of annual rye. 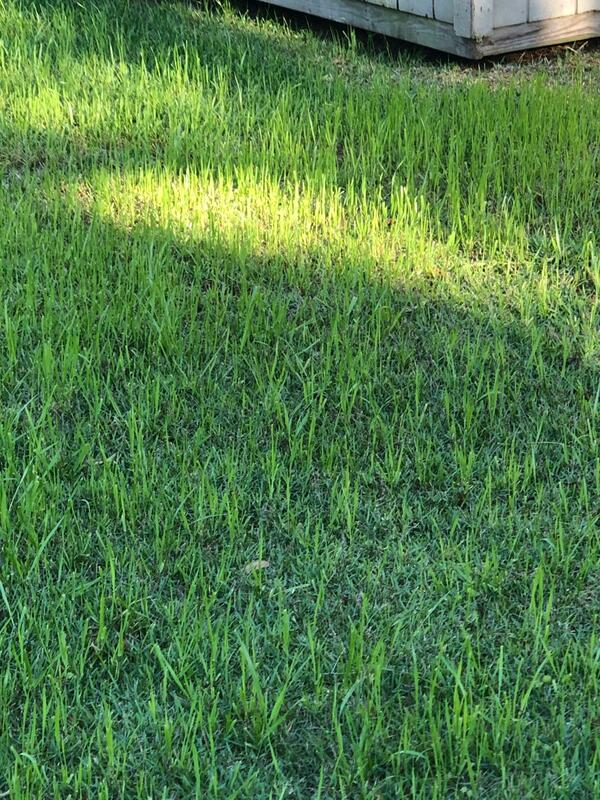 Now that others have mentioned it, It does look like ryegrass, I planted a little in bare spots last fall, and it looks like that. I is a very light seed - I could see it being carried by wind and/or water. as the others say, that is rye grass. I would just keep is cut short so it doesn't look too bad and it will play out as soon as it gets hot outside. Need to keep it cut short enough so that it doesn't seed and you will be good. Where do you live? It’s not annual rye. Looks like rescue grass. Do you have a picture of the seed head? It is 1000% not Johnson grass. 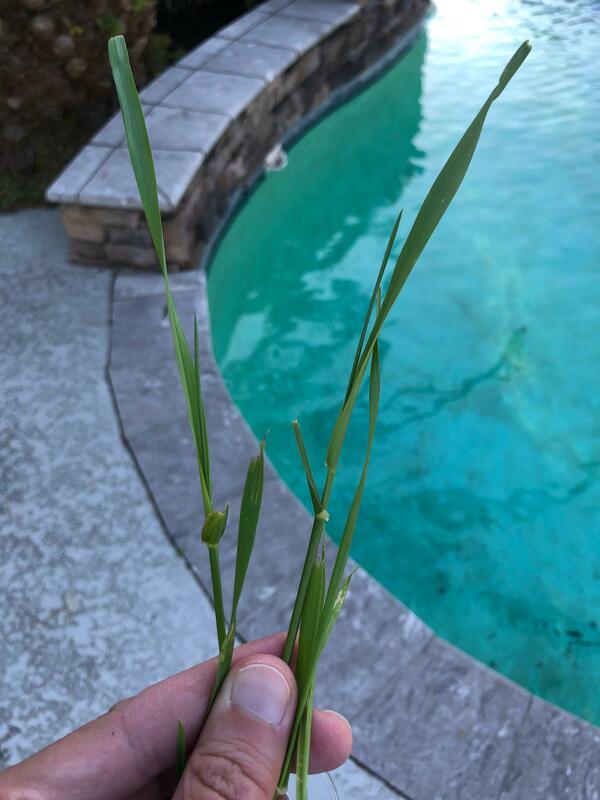 I live in Mandeville - is it possible it could be Cogongrass?